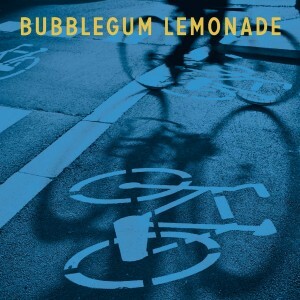 Smashing new EP from popular Glasgow band Bubblegum Lemonade! Lead track ‘Beard On A Bike’ goes straight for the pop jugular with an instantly catchy tale of a psychopath on a cycle path. The song is a preview of the band’s forthcoming album ‘The Great Leap Backward’ set for release later this year. The EP also features three non-album tracks exclusive to this release. ‘Golden Afternoon’ is a mid tempo song with a baggy rhythm and ace 12-string Rickenbacker guitars, while ‘Saturday Girl’ is an effervescent ode to weekend warriors with racing guitars and ‘Looking Out For You’ is a poignant late night tale showcasing superb harmonies and jangling guitars. Limited to 1000 copies in custom minijacket sleeve, ‘Beard On A Bike’ is essential Scottish pop for your summer playlist and another absolute gem for the Matinée discography.